Owning and operating a farm brings unique opportunities and challenges. 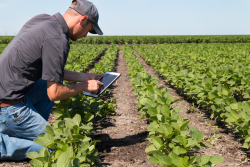 At Davidson & Nick CPAs a leading Naples Certified Public Accounting (CPA) firm, we provide tax, accounting, and financial management services to farmers and agricultural-related businesses. We work with producers and distributors of fresh produce to assist them in the preparation of financial statements in conformity with United States Generally Accepted Accounting Principles, tax return preparation, as well as a variety of US and international tax issues. We identify emerging trends and improve the bottom line. We have the knowledge, expertise, tools and strategies to help agricultural and farm families with their unique requirements. We offer a initial consultation for agricultural and farm business owners. Contact us at 239-261-8337 and ask to speak with one of our experts to discuss your specific needs today.